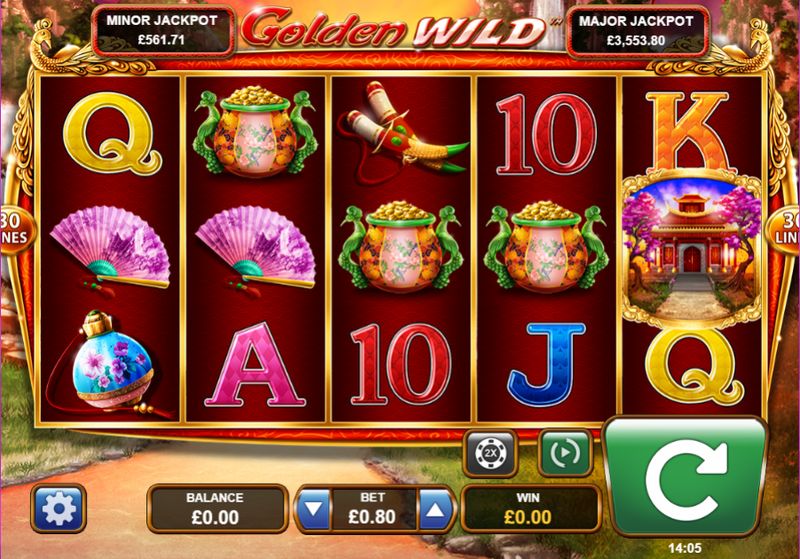 Golden Wild is a casino slots game from the developer Leander Games. The game deploys five reels and three rows, and there are 30 paylines. The Return to Player percentage is 92.51 percent. The game has an ancient Chinese setting, with a glamorous looking Chinese woman as its main character. Anyone who enjoys playing fruit machines should find plenty of entertainment in this game, with its sense of oriental mystery. Enjoying playing online slots like Golden Wild? Chinese culture is central to this charming slots game, with all of the graphics reflecting an Chinese theme. You will see fans, jade pots, gold coins and playing card signs among the symbols that the game uses on its reels. The game’s wild symbol is a gold coin, while the scatter symbol is the temple doorway. The gold coin can substitute for all other symbols with the exception of the scatter. An additional feature of this game is the option to gamble all of your winnings for the chance to give your prize a real boost. This option becomes available after every winning spin. You gamble your winnings in a guessing game which involves guessing the colour of the suit, red or black, when a playing card is revealed. You can also opt to guess which precise suit the card will be – diamonds, clubs, hearts or diamonds. If you guess correctly, you can gamble your winnings again for another boost. If you spin in three, four or five scatter symbols, you get trigger the free spins round. The Gold Spins feature can also be played after the normal free spins have been used, with the chance to win additional prizes. We always have new and exciting bonuses here at https://www.slotsbaby.com. Check them out today! Leander is an independent gaming company, with a decidedly Latin American focus. Many of their games are now designed specifically for the Latino market, which is rapidly growing. Founded by Ramiro Atucha and Marcelo Blanco, the company has offices in Buenos Aries, the capital city of Argentina, and on the Bahamas. The heavy metal band Megadeth played a part in the Leander story, as they granted the company use of their name in one of their earliest titles. Heavy metal music is something of a recurring theme for Leander, as they have also produced a game based on Alice Cooper. Look out for Leander’s red lion logo in your favourite online casino, as you are sure to find games with great graphics and sound. 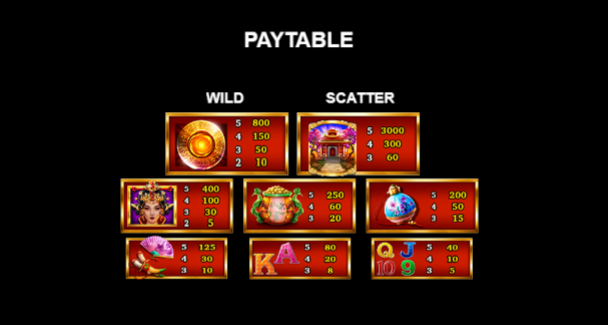 Check out more games like Golden Wild here at https://www.slotsbaby.com. While this game will not set any online casino on fire with scintillating entertainment, it is a solid enough game that should provide plenty of entertainment for anyone who likes playing slots games. It can certainly pass the time pleasantly enough, if you find it in your favourite online UK casino. The bonus features such as the Gold Spins mean that there is plenty of scope for big winnings as well as plenty of fun.